The Levy County Sheriff’s Office has arrested Michael John Sedor, (DOB 7/9/82) for Burglary of an Unoccupied Structure and Grand Theft. The crime, which occurred at a storage building inside the Town of Inglis, was reported on July 15, 2015. The Victim reported that an unknown suspect had stolen several items from the building including a generator, a hunting bow and various tools. Deputy C.J. Perryman and Investigator Mike Wilkinson immediately began investigating the case. They were able to locate and interview multiple witnesses who gave information indicating that Sedor had committed the crimes. 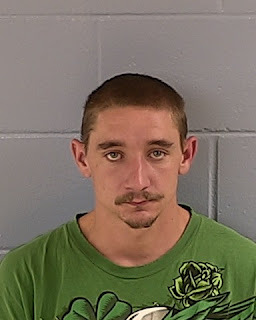 Witnesses also provided information about a possible location in Inglis where Sedor had stashed the stolen items. Investigator Wilkinson located some of the stolen property at that location and returned those items to the victim. Investigator Wilkinson made numerous attempts to locate Sedor, who goes by the street name “Gilligan.” While Investigator Wilkinson was not able to interview Sedor, he did obtain an arrest warrant for him based on the probable cause he and Deputy Perryman developed during their investigation. Sedor was arrested on the warrant by Deputy Tim Rogers on August 22, 2015. He was transported to the Levy County Detention Center and held under a $90,000.00 bond. LCSO thanks the public for their assistance in solving this case. Citizens are reminded they can report suspicious activity to LCSO 24 hours a day at 352-486-5111. They can also make anonymous reports to Crime Stoppers at 1-877-349-8477. 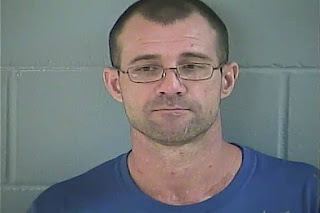 The Levy County Drug Task Force arrested a local repeat offender for methamphetamine related charges on Monday, August 10, 2015. Drug Task Force investigators went to 8751 NW 125th Street in Chiefland in order to execute an arrest warrant. The investigators located and arrested Nevina Tease (1-3-80) on an outstanding Violation of Probation warrant. The Certified Clandestine Laboratory Investigators on scene recognized that all of these items are regularly used in the manufacture and distribution of Methamphetamine. Smith was arrested for Possession of Methamphetamine with Intent to Distribute; Possession of Marijuana and Possession of Drug Paraphernalia. Smith was transported to the Levy County Detention Center where his total bond was set at $141,000.00. Smith is no stranger to law enforcement in the Tri-County area. He has been arrested numerous times in Levy, Dixie and Gilchrist Counties. Smith was most recently released from incarceration by the Florida Department of Corrections on June 16, 2015. The LCSO wants to again warn the public of the dangerous and volatile chemical components used to manufacture methamphetamine. These substances create some of the most hazardous conditions in which deputies work. The LCSO is dedicated to locating and arresting all individuals who are making this deadly drug and ask our citizens to report any suspicious activity to Crime Stoppers at 1-877-349-8477. Levy County, Florida – Recent heavy rains may have impacted your private well and made your water unsafe. If your well casing has been submerged by flood water, either use bottled water, or boil or disinfect all the water you use for drinking, making beverages, cooking, brushing your teeth, washing dishes, and washing areas of the skin that have been cut or injured. Common unscented household bleach (4 to 6%) can be used effectively as a chlorine disinfectant. Add 8 drops (about 1/8 teaspoon) of unscented household bleach per gallon of water, then let stand for 30 minutes, repeating the procedure if the water is still cloudy. An alternative disinfecting method involves bringing water to a rolling boil for one minute. If your well has been flooded, please call the Levy County Health Department for information on how to sample your water and where to bring the sample for bacteriological testing. If the test reveals bacteria, the well and water system need to be disinfected. It is important to disinfect both well and plumbing water with unscented household bleach to ensure that all infectious agents are destroyed. If you have water treatment devices, remove all membranes, cartridges, and filters and replace them after the chlorination process is completed. The amount of chlorine determines the length of time you allow the bleach to remain in your system. If the water is discolored before adding the bleach, run the water until it is clear for up to 10 minutes. Turn off and then drain your hot water heater— bleach is not effective in water above 105 degrees. Remove and replace charcoal filters after the disinfecting process is completed. To avoid adding contamination to the well during disinfection, clean the work area around the top of the well. Then remove grease and mineral deposits from accessible parts of the well head and flush the outside surfaces with 1/2 cup of unscented household bleach in 5 gallons of water. Turn off the pump. Remove the cap or the well plug on the rubber seal. There are many types of well caps and plugs. If you have questions, you should contact a licensed well driller. If you have a submersible pump, you may also want to contact a licensed well driller for advice on disinfection procedures. Consult the bleach chart and pour the recommended amount of unscented bleach (4 to 6%) solution into the well. Try to coat the sides of the casing as you pour. If you get bleach on the pump or wiring, flush it thoroughly with fresh water to prevent later corrosion. Re-cap or plug the well opening and wait 30 minutes. Turn on and, if needed, re-prime the pump. Open all of the faucets on the system one at a time. Allow the water to run until there is a noticeable smell of bleach. You may also want to flush the toilets. If you have outside faucets, you may want to direct the water away from sensitive plants. If you cannot detect a bleach odor, repeat the disinfecting process. Turn off all of the faucets and allow the bleach to remain in the system for at least eight hours. Backwash water softeners, sand filters, and iron removal filters with bleach water. Again, open all the faucets and run the water until there is no bleach smell—for up to 15 minutes. After disinfecting your well, the water needs to be tested to verify that it is safe to drink. Although unscented household bleach is effective against microorganisms, it will not remove chemical contamination that may have gotten into your well. Contact the Levy County Health Department at 352-486-5300 for sampling instructions to get your water tested for chemicals if you are concerned. Chemical sampling fees have not been waived at this time. For further information, please visit www.doh.state.fl.us or www.FloridaDisaster.org. Dixie County, Florida – Recent heavy rains may have impacted your private well and made your water unsafe. If your well casing has been submerged by flood water, either use bottled water, or boil or disinfect all the water you use for drinking, making beverages, cooking, brushing your teeth, washing dishes, and washing areas of the skin that have been cut or injured. If your well has been flooded, please call the Dixie County Health Department for information on how to sample your water and where to bring the sample for bacteriological testing. If the test reveals bacteria, the well and water system need to be disinfected. After disinfecting your well, the water needs to be tested to verify that it is safe to drink. Although unscented household bleach is effective against microorganisms, it will not remove chemical contamination that may have gotten into your well. Contact the Dixie County Health Department at 352-498-1360 for sampling instructions to get your water tested for chemicals if you are concerned. Chemical sampling fees have not been waived at this time. The mission of the Florida Department of Health is to protect and promote the health of all residents and visitors in the state through organized state and community efforts, including cooperative agreements with counties. For more information about DOH programs, visit www.doh.state.fl.us.